Now if this set up doesn't get the party bouncing, nothing will! Play your own music via bluetooth or auxillery, or use our party playlist if you choose. 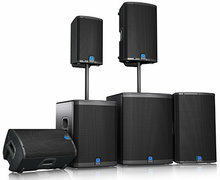 Use this professional grade equipmlent for events up to 1,000 people! Perfect for large events like festivals, church events and fundraisers just to name a few!